This post was co-written by Eko Prasetyo and Ronda Zelezny-Green. 1. Personal experience is a driver behind big ideas. Having lived in challenging environments where public services aren’t available or may not be reliable, the funders of mTena and hapaSpace were inspired to innovate to create solutions to address issues they observed. Tizzita Tefera of mTena aims to support women, including her close friend, who can’t access maternal health information through conventional channels. Albert Opoku’s ideas to support pre-revenue startups is a reflection of his own struggle to setup and run a profitable business as a young entrepreneur. In particular, he recognises the obstacle for pre-revenue startups to get funding because local investors are discouraged by the high risk of failure and foreign investors are more interested in post-revenue startups. 2. Despite the hype around startups, in reality, the majority of them (6 out of 7) fail. For mTena and hapaSpace, patience and persistence are key elements to their success. mTena required 9-12 months before gaining traction, and the main challenge was to convince government, potential partners and clients of its potential. hapaSpace struggled financially for 6 years before earning its first revenue-generating client. This kind of magic does not happen overnight and good news stories are still sparse in this region when compared even to South and Southeast Asia. 3. 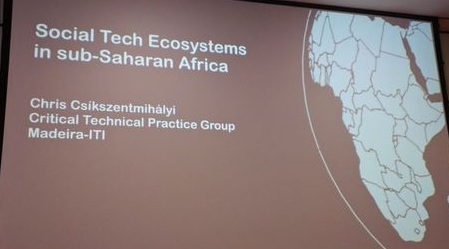 African startups require enabling ecosystems for their businesses to flourish. That’s why initiatives such as GSMA Ecosystem Accelerator and ATBN are critical. 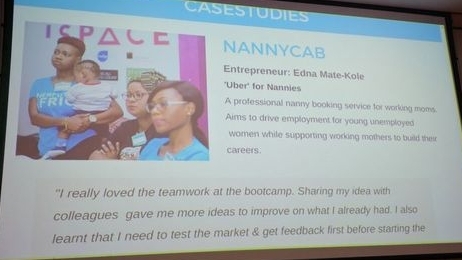 These initiatives open up opportunities for African startups, especially women-led startups, to access funding, connect to the right networks (e.g. government, investors, international organisations), mentorship and exposure/marketing. 4. The lack of financial investment hampers African-funder startups. According to Chris Csikszentmihalyi, 75% of funding in Kenya in 2015 only benefited to two startups: Angaza and M-Kopa. In East Africa, 90% of investments in the last two years went to startups with one or more European or North American funders. As suggested by Albert Opoku, many startups die because of insufficient cash flow to continue their operations. This needs to change if we are ever to have the first African unicorn. Overall, we felt that the meetup packed a lot into 2.5 hours. But don't just take our word for it - view all of the presentations below! Albert Opoku perhaps had the most hilarious and personal presentation of the night when he discussed hapaSpace, a startup space he has funded by profits generated through his own startup in Kumasi, Ghana. While his presentation is not yet available to share, Chris Csikszentmihaly's presentation contained the WTF bundle photo, which gave the entire room a chuckle. He shared insights about how the mobile internet is conceived in sub-Saharan Africa when WhatsApp, Twitter, and Facebook (WTF) bundles are pushed as a means to onboard people's internet use on the continent. We look forward to his report on startups in sub-Saharan Africa being published later this year. The next London ICT4D Meetup will be held Tuesday 28 November. We hope to see you all there!